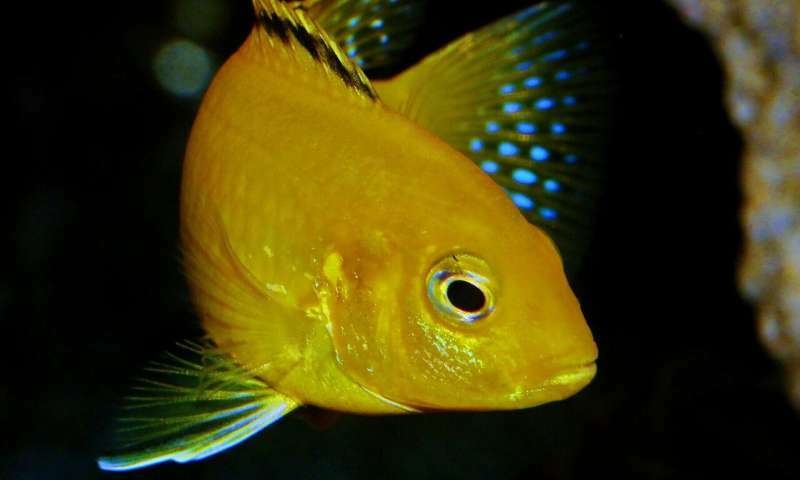 Researchers at Karl-Franzens-Universität Graz, Austria, investigated the behaviour known as cuckoldry in cichlid fish, whereby 'cuckolder' males mate with females that are already socially partnered to other males. The result is that males are not always the genetic fathers of their female partners' offspring. This is often thought to be an issue for the social partner of the mother, especially when he must subsequently care for offspring that are not all his own. The researchers found that 'cuckolder males' and the mother's social partner were, on average, more related than expected by chance. Dr. Kristina Sefc, corresponding author of the study, said: "We found that the partnered male fish were often related to some 'cuckolder' males, who swoop in to fertilize some of the eggs. At first glance, this is evolutionarily puzzling because when males are related, we typically expect them to compete less with one another, not more. This 'banding together' of related males makes sense, however, when spawning events involve many males, including lots of unrelated males. Then, the male relatives essentially work together to compete against the host of unrelated males." Dr. Aneesh Bose, co-author of the study, said: "This study has the potential to change our contemporary view of cuckoldry and paternity loss. Paternity loss is widespread across the animal kingdom, but outside of animals that live in close-knit family groups, relatedness between males and their cuckolders is often assumed to be zero. Here, we show that males can be related to their cuckolders and it will be exciting to see how widespread this phenomenon is in other species."